User photos can be displayed in User Directories, on user comments and on user lookup lists ( for example, if you're assigning an Issue to a user, the user lookup list can show that users picture). Actual photos can be uploaded or a photo can be chosen from a library of photos. 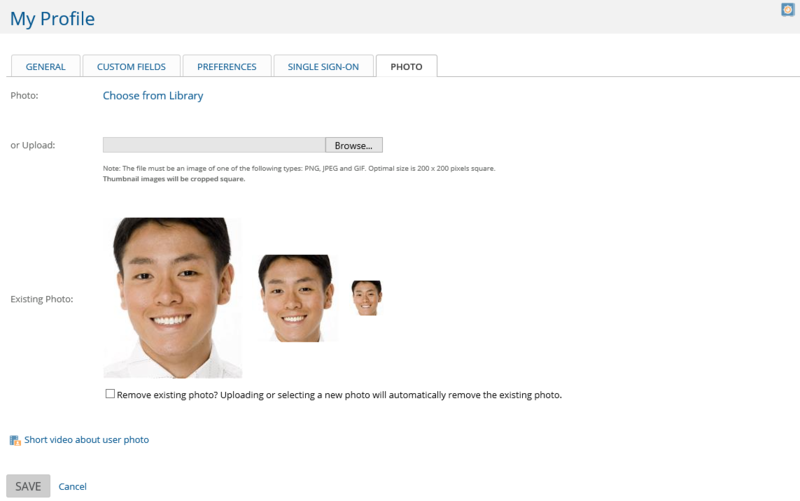 One photo per user profile can be uploaded. The photo that is uploaded must be one of the following types: PNG, JPEG and GIF. The Optimal size is 200 x 200 pixels square. Note* The system administrator sets whether or not photos display on comments, see Comment Settings, and on user lists, see User Settings. For Directories, the Photo column can be turned on to show the photos (see Page Display Options). Three sizes of the photo will be saved. Different sizes are used in different displays, for example, the Profile page displays a larger size photo than the photo in the Profile display in the global menu options. Thumbnail images will be cropped square. Invoke the Edit/Upload photo option again to see all three sizes. 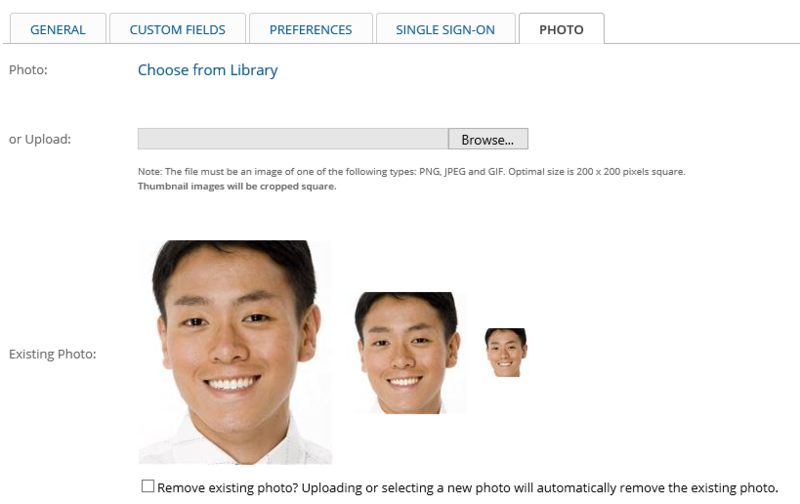 Note* if a photo was uploaded and a library picture is chosen, the library picture will replace the photo. 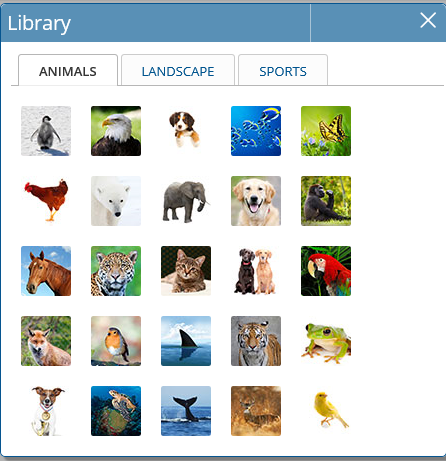 To remove a library photo without saving it first, click the Remove icon next to the library picture. To change the existing photo, simply upload a new photo. The current photo is removed (even if its a library photo) and is replaced with the new photo.